The rapid change in the dollar against the Russian ruble has caused price increases not only for Apple devices, but also for applications that are stored in the official app store, the App Store. Russian users and many others are increasingly beginning to look for relevant methods that allow them to save money on the acquisition of any desired application or game on your iPhone. In fact, not everything is so bad, there are legal ways that help customers get certain applications at a low price. We are talking about gift cards (promotional codes), which are generated by the manufacturers themselves for their VIP clients. What are the App Store gift cards for? How to use the App Store Gift Card? 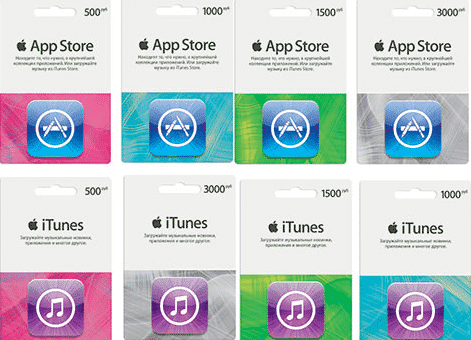 Today, iTunes Gift Cards are the most relevant and sought after by many developers. It became known that they are released by developers only in order to test an application released by the developer at the initial stage. That is, the creator of a certain application has the right to create fifty promotional codes and distribute them to experienced programmers (journalists) in order to test and advertise their created product. Programmers and journalists get the finished product at a low price or, in general, free of charge, depending on what code itunes was issued to them. 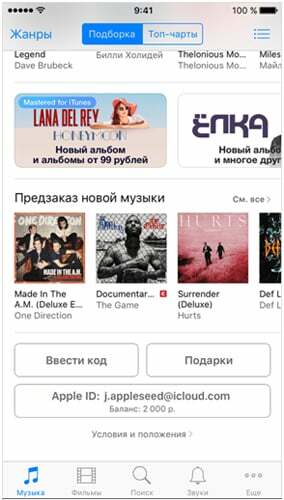 ITunes cards can actually be issued not only by the developer of the application, among other things, the most ordinary user who is not a programmer or a journalist can get hold of a gift card. Gift cards can be purchased at retail stores. However, their price is not so small, so this method is considered not very capable. It should be understood that the cards received by any of the above methods have a validity period (in 99,% of the percent of cases is one calendar month from the date of issue), so you should not postpone the registration of this card in the App Store system. After the user enters the specified barcode in the system, he will receive those privileges that were added to the card he received. It doesn’t matter from which device the barcode will be entered (laptop, smartphone or tablet), the main condition is to have an account with an Apple ID, and that the device has connection to an Internet connection to activate. And it should also be understood that by registering an account and linking it to a specific country, it will be impossible to use applications from another country. An extensive list of all applications and games is available only in the US country, therefore many create American Apple ID, as well as carry out various distributions of codes specifically for the American Apple ID. There is no need to disassemble the card activation process in detail, because everything is so elementary. Turning into your iTunes accountHaving chosen the necessary selection, you need to scroll down, it is there that the item with the inscription “Enter code” will be there, this menu item implies entering the bar code printed on the iTunes gift card. The barcode is located on the back of the card, it has sixteen characters, and it is hidden by a protective coating from excess eyes. After the barcode has been successfully entered, the download of the application to which the card has been attached will begin. And a person will get full access to this application for free or at a low cost (depending on the received card). And you can also not enter the card number yourself, but use the device's camera. To do this, select the item “USE CAMERA”, point the camera at the desired bar code and see how the recognition will occur. 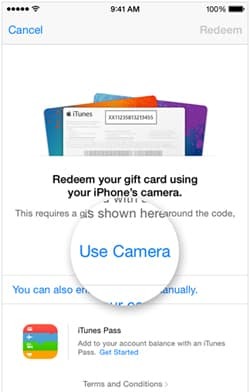 Using the App Store gift card (iTunes certificate) is extremely beneficial for users. You can save money and send it to something else. Apple also does not remain in the red with the release of such cards, because they interest the target audience by selling their devices twice as much as before, thereby increasing the price of their shares.